There was a time when I really don’t know that I could have written this post. We had the flexibility in our budget to not really need to worry about financing our home education plans. I had the freedom to choose what I wanted, when I wanted and I could purchase it new. Things are very different for my family now. We no longer have the same level of income and the economy affects everyone. Publishers must increase prices and consumers have less money. I am no less committed to providing the best education I can to my children but now I must work within the confines and restrictions of a budget so tiny it is almost nonexistent. I must find a way to make homeschooling more affordable for my family. So what am I doing to make homeschooling more affordable? Using the library- I prefer a literature rich approach to education. This means that I like to use a lot of books. I’d love to be able to own every book that we will use but that is out of my budget, but I can use the library for many of the literature books I need and/or want. My library does not just give me access to books; it also gives me access to audio books through overdrive.com and netbooks. The library also gives me access to online foreign language programs. My 10th grader really wants to learn German. She’ll be able to do some studying of German by using the free online library resource. Paperback Swap- My friend Debra has been talking about paperback swap forever and I finally broke down this summer and registered. I really do want to build my own library and some books are used for a length of time that makes the public library not the best option. While cleaning and decluttering this summer I found many books that I could list on PBS. Many of those books have found new homes giving me the credits to request several of the books I need for my oldest. Using non-consumable materials- This means an investment at first but it translate into savings in the long run. This means that I can divide the cost between the number of times I’ll use that product. I saved money this year by only having to upgrade my Instructor’s Guide and buy one workbook for TailorBear’s history. We already own all the other resources because BooBear and Turtlegirl have been through the program. Purchasing new materials only on sale- I am using a computer based program for several subjects this year. It is non-consumable and I am re-using some of it from past purchases but I did have to buy some new for this year. I purposely planned out my purchase for when the publisher offered their 20 % off sale. In addition I did my research to find a retail provider who offered free shipping. I’ll be able to re-use these materials in future years so it’s a double savings. Speaking of sales, I also only purchase school supplies like paper and pencils during those extra super cheap back to school sales. I feel like I have a life time supply of spiral notebooks and number 2 pencils so this year I won’t be purchasing paper or pencils but I will be on the look out for deals on white board markers. Networking-- Getting connected with other home school moms through the internet has helped me to make home school more affordable. 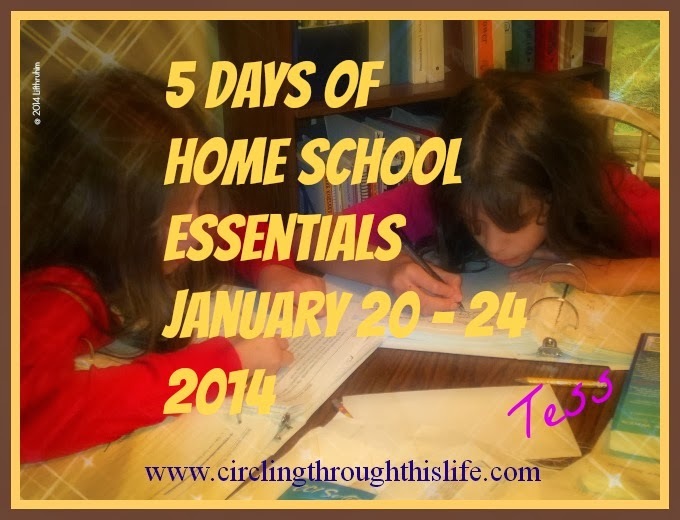 Because of internet forums and email groups, I’ve become aware of some free home school resources. Another positive are the friendships that come from the networking. A dear friend that I “met” years ago on a yahoo group has loaned me a language arts program and a math program and a book here and a book there. All I have to pay is postage to mail it back to her when we’re finished! E-Books-- I really prefer my books in “real” format with pages to turn and to snuggle with my children while we enjoy a book. E-books have been one way that I have compromised. E-Books are a great way to use a book while still searching for an affordable copy or waiting for my copy to arrive from Paperback Swap. There are many ways to make home school affordable. There are websites and groups dedicated to providing FREE material. I’m sure that I’ll be learning more and more ways to save money, cut costs and still provide a stellar education. Great post! I've become more tolerant of e-books in the past couple of years, and for some things I actually prefer it. Never thought I'd say that! I absolutely adore Paperback Swap! Soup Experiment: A Success Story! At what speed does time fly?